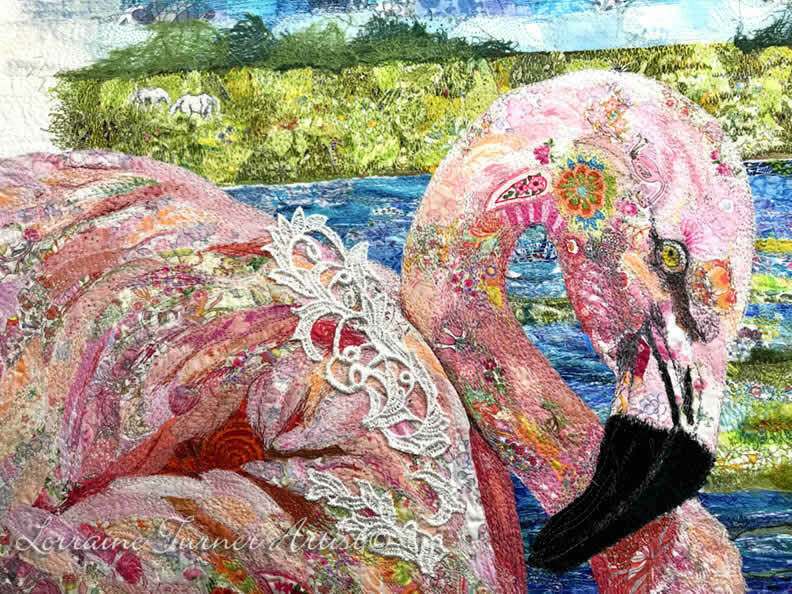 Learn from award winning textile artist and animal communicator Lorraine Turner. Easy step by step instructions help students create stunning fabric art. Lorraine teaches internationally and works from her studio in Florida. Our project “Pink Perfection” highlights feathers created with Aurifil thread over water soluble. Students will learn to create patterns from photos, raw edge applique, free motion thread painting and lots of embellishing techniques.